Africa is home to some spectacularly expressive, überelegant food traditions. The flavours found in the cooking pots of our continent are as deliciously diverse as the people who stir them. From the quince- and honey-infused tagines of Tunisia to the aromatic berbere blends of the Ethiopian wot stews and the ferocity of Mozambican piri-piri, there is no shortage of fabulous food. From the tender lamb that is South Africa’s tshotlõ to the rich opulence of Congolese palm pulp moambe sauce, Africa is richly marinated in culinary creativity. 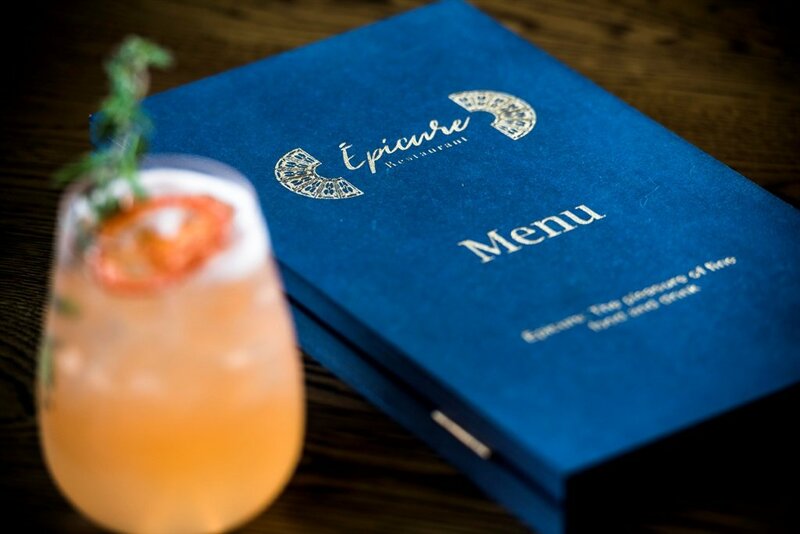 Chef Fathi “Coco” Reinarhz offers a tantalising taste of such splendours at his new Morningside restaurant, Épicure. Of his life and work Reinarhz says: “I was born in Burundi and I’ve lived all over the world. I can and do cook in a range of styles but I love the ingredients, cooking methods and inspiration that can be drawn from this continent and I want to reflect that in my work. On March 1 2018, the restaurant was launched with an appreciative audience, which included 702 talk radio’s Azania Mosaka and Hotwire Marketing executive Deborah Bailey. The menu offered an Afro-chic pairing of cuisine à la Coco and Armand de Brignac Champagne. Épicure sommelier Mike Buthelezi worked with chef Coco to create three courses of fantastic flavour marriages. The Champagne brand’s pleasantly pink and pétillant rosé made magic with the Cape Malay-inspired chicken supreme stuffed with dried fruit and ginger confit; the bubbly brut sparkled in the presence of a superb grilled sea bass drizzled with exquisite, orange flower-infused Moroccan argan oil; and the brut’s acidity and minerality made for a clean finish – making you want to go back for another sip. So I did. Best of all was the combination of a delicious demi-sec with a plate of Ivorian-style fried plantain aloko topped with a cracklingly crisp tuile biscuit and a quenelle of ruby red bissap (hibiscus) sorbet. The Champagne added a lovely, full, fruit and spice-laden richness to the dish. Coco describes his new restaurant as “an exploration of what it means to be a modern, world citizen; African by birth and choice. I seek to reflect that in my food. There are world class Ethiopian restaurants in Washington and great Congolese restaurants in Paris. I want Épicure to fit into that mould.” Mission accomplished. 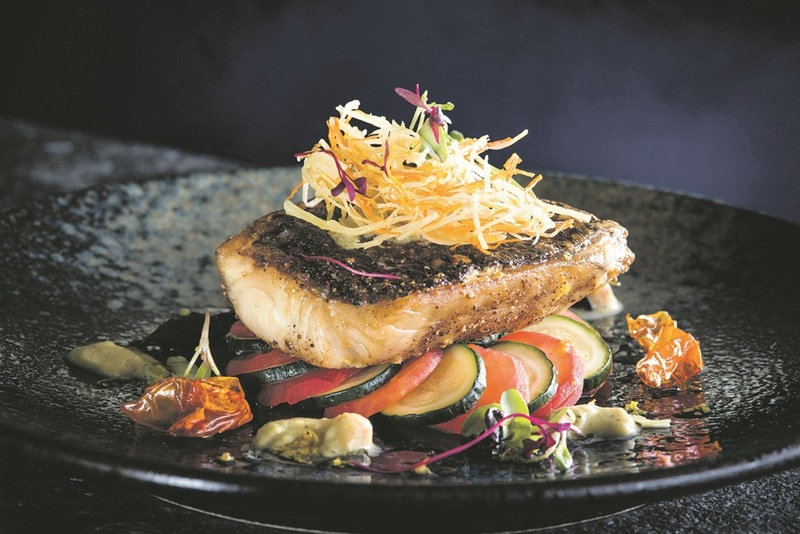 Modern, elegant African eating sparkles at Épicure.